Pure happiness in a garment. 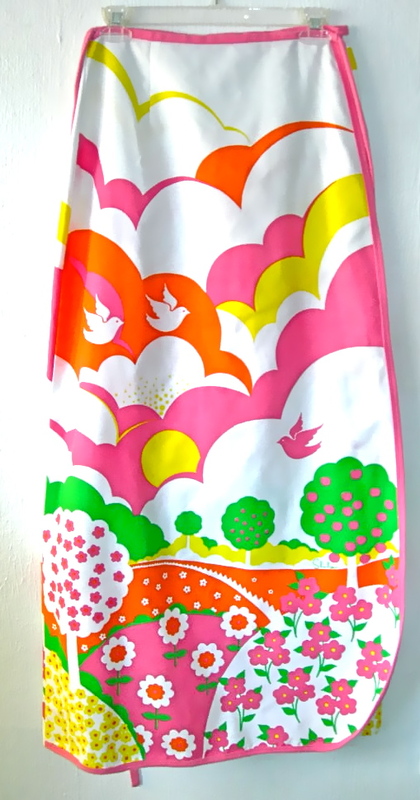 This full-length skirt by famed Hawaiian clothing purveyor Alfred Shaheen is graphically printed in bright happy colors on sturdy poly-cotton trimmed in pink knit; measures 28″ waist, 41″ long. Condition: Very good, body is excellent, trim shows minor fuzz.